After years of preparatory studies, NASA is formally starting an astrophysics mission designed to help unlock the secrets of the universe — the Wide-Field Infrared Survey Telescope (WFIRST). With a view 100 times bigger than that of NASA’s Hubble Space Telescope, WFIRST will aid researchers in their efforts to unravel the secrets of dark energy and dark matter, and explore the evolution of the cosmos. It will also discover new worlds outside our solar system and advance the search for worlds that could be suitable for life. WFIRST is the agency’s next major astrophysics observatory, following the launch of the James Webb Space Telescope in 2018. The observatory will survey large regions of the sky in near-infrared light to answer fundamental questions about the structure and evolution of the universe, and expand our knowledge of planets beyond our solar system — known as exoplanets. 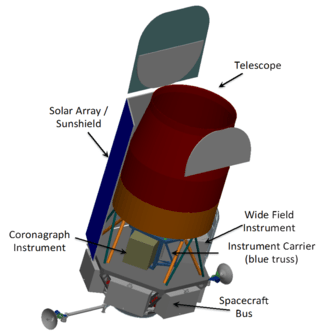 WFIRST will carry a wide-field instrument for surveys, and a coronagraph instrument designed to block the glare of individual stars and reveal the faint light of planets orbiting around them. By blocking the light of the host star, the coronagraph instrument will enable detailed measurements of the chemical makeup of planetary atmospheres. Comparing these data across many worlds will allow scientists to better understand the origin and physics of these atmospheres, and search for chemical signs of environments suitable for life. The telescope’s sensitivity and wide view will enable a large-scale search for exoplanets by monitoring the brightness of millions of stars in the crowded central region of our galaxy. The survey will net thousands of new exoplanets similar in size and distance from their star as those in our own solar system, complementing the work started by NASA’s Kepler mission and the upcoming work of the Transiting Exoplanet Survey Satellite [TESS]. By measuring the distances of thousands of supernovae, astronomers can map in detail how cosmic expansion has increased with time. 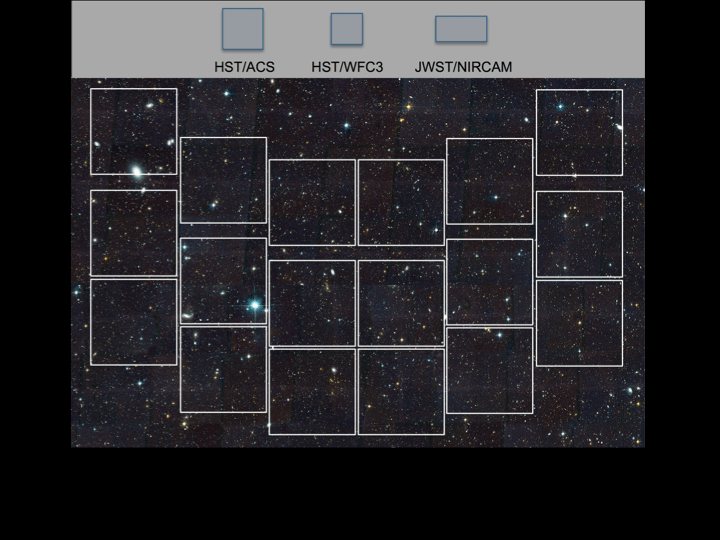 WFIRST also can precisely measure the shapes, positions, and distances of millions of galaxies to track the distribution and growth of cosmic structures, including galaxy clusters and the dark matter accompanying them. WFIRST is slated to launch in the mid-2020s. 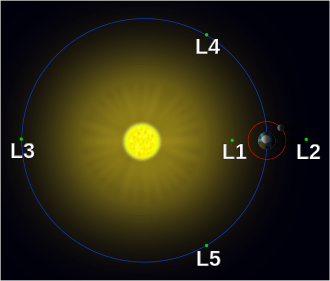 The observatory will begin operations after traveling to a gravitational balance point known as Earth-sun L2, which is located about one million miles from Earth in a direction directly opposite the sun. WFIRST is managed at Goddard, with participation by the Jet Propulsion Laboratory (JPL) in Pasadena, California; the Space Telescope Science Institute (STScI) in Baltimore, Maryland; the Infrared Processing and Analysis Center (IPAC), also in Pasadena; and a science team comprised of members from U.S. research institutions across the country. The leading members of the science team, together with NASA and science center representatives, make up the FSWG. STScI is the science operations center for both the Hubble and Webb telescopes. It will also be a partner in the WFIRST science center, sharing science operations responsibilities with Goddard and IPAC. STScI astronomers are also represented on the WFIRST science team and the FSWG. During the mission formulation phase, STScI’s work will focus on the mission’s observation scheduling system, wide-field imaging data processing system, and the data archive. The Barbara A. Mikulski Archive for Space Telescopes (MAST) at STScI already holds the astronomical data from some 20 astronomy missions, and the addition of the WFIRST data will add considerably to its scientific discovery potential. The WFIRST mission will launch in the 2020s as NASA’s next flagship-class astrophysics observatory following the James Webb Space Telescope [JWST] set for liftoff in 2018. Paul Hertz, head of NASA’s Astrophysics division, said the mission’s formulation phase is due to begin in February after WFIRST passed a mission concept review in December. The formulation milestone is a year ahead of schedule after Congress sped up WFIRST with extra funding in recent budgets. “This budget [passed in December] lays out funding for WFIRST of $90 million in the current fiscal year, and it also directs us to move forward toward starting the WFIRST project,” Hertz said 4 January in a presentation to a group of astronomers and astrophysicists charged with advising NASA strategic science programmes. The $90 million appropriated to the WFIRST project this year is much more than NASA’s $14 million budget request. The space agency had internally planned to pass WFIRST’s formulation gate in 2017. Lawmakers also awarded extra funding to WFIRST in 2014 and 2015, and NASA spent the money to infuse technology development for the observatory’s two main instruments, a multipurpose wide field imager and a coronagraph to see dim planets contrasted against the bright light of stars. NASA has put the peak spending years on JWST behind it, opening up the agency’s astrophysics budget to gradually ramp up work on WFIRST, the next in a line of marquee telescopes with a lineage tracing from Hubble to Chandra, Spitzer and JWST. WFIRST stands for the Wide-Field Infrared Survey Telescope, a mission with a preliminary cost projection of up to $2.3 billion. It is designed to enable new research into the expansion of the universe, the distribution of exotic dark matter, and faraway solar systems. For astronomers, the advancements to be introduced by WFIRST are like giving the Hubble Space Telescope peripheral vision. With a launch date scheduled for no earlier than 2024, WFIRST is baselined for a six-year mission at the L2 Lagrange point, a gravitationally stable location about a million miles from Earth in the direction away from the sun, Hertz said. WFIRST’s telescope is already built. The National Reconnaissance Office, the U.S. government’s spy satellite agency, gave NASA two surplus telescopes originally manufactured to fly on clandestine surveillance missions for for the intelligence community. The telescopes’ primary mirrors are 2.4 metres (7.9 feet) in diameter, the same size as the primary mirror aboard Hubble. The mirror set to fly on WFIRST is nearly twice the diameter as the telescope in the observatory’s original concept. The spy optics will give WFIRST much better vision, but the telescope’s bigger size means it needs a larger spacecraft and rocket, adding to the observatory’s cost. But it would cost even more if NASA developed the 2.4-metre telescope from scratch, according to agency officials. A wide field instrument on WFIRST will take pictures with sharpness comparable to imagery from Hubble, but with 100 times the field of view. WFIRST will see the cosmos in near-infrared wavelengths, overlapping with a segment of of the spectrum observed by Hubble and JWST, which is even more sharp-eyed in narrow vision than WFIRST. But WFIRST can survey a wider swath of the sky to study the universe at a larger scale. WFIRST was the top recommendation for NASA’s astrophysics program in a National Research Council decadal survey released in 2010. The agency’s policy is to follow cues from the science community encapsulated in the decadal survey reports. The observatory will also carry a stellar coronagraph, the first such device ever flown in space, to blot out the bright light of stars to directly image planets lurking nearby. Direct imaging will allow astronomers to begin measuring the structure and composition of exoplanets, a key step in determining whether the worlds are habitable. NASA’s Kepler space telescope, the most prolific planet-hunter to date, is unable to detect exoplanets unless they cross in front of their parent star and temporarily dim the starlight. WFIRST could discover about 20,000 exoplanets itself, according to a March 2015 report by the mission’s science definition team. So far, Kepler data have contributed to the discovery of about 1,000 worlds around other stars. Princeton researchers will play a leading role in a major NASA mission that will use a repurposed telescope to detect “exoplanets,” or planets beyond our solar system. The mission, called Wide Field InfraRed Survey Telescope [WFIRST], is expected to transform the field of astronomy when it launches in 2024. 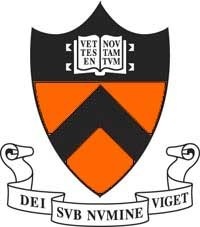 Researchers who will help design and formulate WFIRST include N. Jeremy Kasdin, vice dean of the School of Engineering and Applied Science, and David Spergel, Charles A. Young Professor of Astronomy on the Class of 1897 Foundation. We all want the ability to peer into the future. And that’s exactly the focus of NASA’s Wide-Field Infrared Survey Telescope (WFIRST) – a mission concept to answer vital questions in both exoplanet detection and dark energy research. 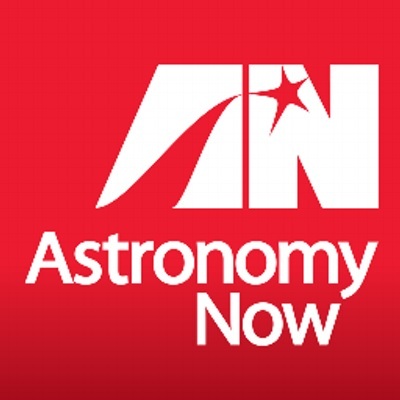 The powerful role that spaceborne telescopes can play in the future was underscored by a seminal study in 2010 called New Worlds, New Horizons in Astronomy and Astrophysics, written by the U.S. National Research Council. That study, which laid out a blueprint for ground- and space-based astronomy and astrophysics for the decade of the 2010’s, rated WFIRST as the top-priority large-scale mission. NASA’s current plans call for WFIRST to perform an extraordinarily broad set of scientific investigations: studying the newly-discovered [? new? really?] phenomenon of dark energy, measuring the history of cosmic acceleration, completing the exoplanet census begun by NASA’s Kepler Space Telescope and demonstrating technology for direct imaging and characterization of exoplanets. • How does the universe work? The WFIRST mission benefits greatly from a space-rated 2.4-meter-diameter telescope made available to NASA a few years ago by the National Reconnaissance Office (NRO). This existing telescope was significantly larger than the conceptual telescope originally envisioned for the WFIRST mission. “As an agency, we asked ourselves what we could do with this unique telescope,” said John Gagosian, program executive for the WFIRST mission at NASA Headquarters. “We realized that by using a 2.4-meter diameter telescope to greatly increase the angular resolution of WFIRST we could obtain a lot of scientific improvement,” he adds. Coupled with a to-be-developed coronagraph instrument, the capabilities of WFIRST would now include the possibility of directly imaging exoplanets. “It was a fortuitous series of events,” Gagosian notes. Exoplanet detection is revolutionizing planetary science. The count is on and quickly trending upward regarding the existence of planet populations beyond our own solar system. There are now nearly 2,000 confirmed planets orbiting other stars, many of these charted by NASA’s planet-hunting spacecraft, Kepler. But what is the occurrence rate of Earth-like habitable planets, circling around Sun-like stars? Indeed, finding habitable zone rocky planets strongly influences the design of future space-based, direct detection missions geared to find exoplanets elsewhere. One core scientific objective of WFIRST is to detect planets using a technique called “microlensing.” This innovative technique infers the presence of planets by observing the way the gravity of the planets affects the refraction of starlight. This is different from the “transit” technique used by the Kepler Space Telescope, and therefore WFRST is expected to find planets that Kepler cannot detect. Using microlensing, WFIRST will search the cold, outer regions of planetary systems throughout the galaxy. Scientists expect to detect planets with masses from 0.1 Earth to 10,000 Earths. A large percentage of the planets likely found would be “super-Earths,” with masses about 10 times that of Earth. Microlensing is not the only exoplanet-hunting technique that WFIRST will use. The optical performance of the large AFTA telescope has allowed NASA to add a coronagraph for direct imaging of exoplanets and debris disks. Using the coronagraph, WFIRST is expected to collect images of planets in other solar systems, and to study the composition of these planets’ atmospheres. Work on WFIRST-AFTA is leveraging mature technology for flight readiness while harnessing cost control measures. There is a great “bang for the buck” value proposition in the mission. Additionally, WFIRST-AFTA is designed to be robotically serviceable. The coronagraph’s imperative to damp out starlight is extremely challenging, making use of different masking technologies, in addition to a deformable mirror that is computer controlled. But if it performs as designed, WFIRST’s coronagraphic instrument will collect images and characterize the atmospheres of super-Earth planets and Neptune-like planets around nearby Sun-like stars. Feng Zhao of NASA’s Jet Propulsion Laboratory (JPL-Caltech) in Pasadena, California, the lead for the WFIRST coronagraph, says that the technology investment in the instrument stems from NASA’s Science Mission Directorate (SMD) and the space agency’s Space Technology Mission Directorate (STMD) working together. The funding of the coronagraph for WFIRST matures direct imaging technologies for future space telescope designs now being contemplated. The ability to “mature technology” at NASA is gauged in terms of high technology readiness levels, or TRLs — a type of measurement system used to assess the development stage of a particular technology. “The WFIRST coronagraph is definitely demonstrating new technology…and is a giant step forward,” Zhao points out. Down-selected by specialists from a number of candidate ideas, the high-tech coronagraph work is ongoing, with milestones being met in a step-by-step fashion. “The coronagraph instrument is considered a technology demonstration,” Zhao says. “It will pave the technology path for future missions. This is a golden time to work on this challenging technology,” he adds. Zhao says the gap between the current coronagraph state of the art and what will someday be needed to characterize a truly Earth-like planet is large. So the best way to close that gap is to fly an intermediate-performance coronagraph instrument such as the one on WFIRST-AFTA. As the first high-contrast stellar coronagraph in space, Zhao said the effort is maturing the coronagraph to TRL. There are nine milestones to track the technology development progress along the way, he explains, since formulation of the coronagraph in early 2014. “We’re making good progress and I’m very proud of the dedicated and hardworking team from JPL and many other institutions,” Zhao adds. “I am very pleased about the potential of WFIRST-AFTA to give the scientific community and the public a bounty of new knowledge.” Gagosian says. WFIRST-AFTA will revolutionize our understanding of the expansion of the universe, the birth and evolution of galaxies and the formation and atmospheric composition of exoplanets. “First and foremost, I see WFIRST as a tremendously promising mission that will help us understand the physics and origins of our universe,” Gagosian explains. The observatory, he points out, is also a great opportunity to demonstrate a technology that may allow future missions to discover telltale signs of life outside our solar system. “We’re going to be proving the technologies and the techniques that will be employed later, perhaps on a bigger mission that’s specifically oriented around that purpose,” Gagosian observes. WFIRST-AFTA permits risk reduction to take on technologies in the future, Gagosian says. “It’s our job here to make sure that investments in this project and those missions that follow provide the greatest benefit to humankind’s knowledge of the universe,” he concludes. NASA plans to follow up the enormous success of the Hubble Space Telescope with two major space-based observatories, the James Webb Space Telescope, scheduled for launch in late 2018, and the Wide Field Infrared Survey Telescope, or WFIRST, in the mid 2020s. The James Webb is a $6.5 billion flagship mission featuring a huge, 21-foot-wide segmented mirror three times larger than Hubble’s and a suite of instruments optimized for infrared observations. If all goes well, the James Webb will detect light from the first generations of stars and galaxies to form after the big bang birth of the universe. WFIRST features a mirror donated to NASA by the National Reconnaissance Office, the super-secret agency that operates the nation’s spy satellites. The donated mirror, one of two given to NASA, is the same size as Hubble’s, but features a much wider field of view. The James Webb Space Telescope will be roughly 100 times more powerful than Hubble. Among its key science goals are studies of star formation and the evolution of galaxies, studying the atmospheres of planets orbiting other stars and looking for clues about habitability to get a better sense of how common life might, or might not be, across the cosmos. Like the James Webb, WFIRST will be optimized for infrared observations and will focus on the nature of dark energy and pioneering studies of planets orbiting other stars. The WFIRST observatory will have roughly the same optical power and resolution as Hubble, but it’s field of view will be twice as large. In now-famous “deep field images” taken by Hubble, astronomers focused the telescope on patches of sky that were 50 times smaller than the full moon. In those images, astronomers can make out some 10,000 galaxies. Hubble is still going strong after a quarter century in orbit because spacewalking shuttle astronauts were able to fix its initially blurry vision, replace older instruments with newer, more powerful versions and repair or replace aging components when they broke down. None of that will be possible for Hubble’s successors. Unlike Hubble, which was placed in a low-Earth orbit reachable by astronaut repair crews, the James Webb Space Telescope will be boosted to Lagrange Point 2, about one million miles from Earth, where the gravity of the sun, Earth and moon roughly balance to allow the observatory to maintain its position with minimal use of rocket fuel. Equally important, Lagrange Point 2 will allow JWST’s sun shade, a complex five-layer parasol the size of a tennis court, to block out the light of the sun, Earth and moon to keep the telescope at the ultra-low temperatures needed for its instruments to capture the faint infrared light of the very first stars and galaxies. After release from a European Ariane 5 rocket, the JWST will unfold like a robotic origami. First, telescoping rods will extend, pulling the sunshade open and separating its layers. Then the segments making up Webb’s primary mirror will unfold, along with the support beams for the telescope’s secondary mirror. Unlike Hubble, the Webb was not designed to be serviced by astronauts. NASA’s Orion spacecraft, the only piloted vehicle under development that could even reach JWST, is not equipped with any sort of robot arm or any analogue of the shuttle’s payload bay where servicing could be attempted. JWST has to work right out of the box. And also unlike Hubble, NASA does not expect to still be receiving images from Webb when its 25th anniversary rolls around. Or even its 20th. While only a small amount of fuel is needed to maintain the observatory’s place at Lagrange Point 2, what propellant there is will run out after about 10 years. When he came on board as NASA’s associate administrator for space science, Grunsfeld argued, unsuccessfully, to add a small grapple fixture to the James Webb so “if something goes wrong, we could send a little, teeny spacecraft out and just shake it gently, to unfurl something,” he said. Artist’s rendition of the proposed WFIRST-AFTA space telescope, which would study dark energy, extrasolar planets and objects in the near infrared. NASA is considering requesting money in next year’s budget to eventually start using two space telescopes it received from the United States’ spy satellite agency, a senior official told Space.com. NASA received the telescopes from the National Reconnaissance Office (NRO) in 2012. They have the same resolution as the agency’s famous Hubble Space Telescope, but a field of view 200 times wider. The telescopes are being eyed for use in a potential space mission called WFIRST-AFTA (the Wide Field Infrared Survey Telescope-Astrophysics Focused Telescope Assets), which could launch as early as 2024 if it gets the final go-ahead. WFIRST-AFTA’s science goals include learning more about the mysterious dark energy that is accelerating the expansion of the universe. In mid-March, Hertz received a report from WFIRST-AFTA’s science-definition team that presented an overview of the proposed design and activities for the mission. A wide-field infrared telescope was identified as a priority in the U.S. National Research Council’s 2010 decadal survey for astronomy. However, the telescope must pass several hurdles before getting into space. If NASA’s astrophysics division approves the mission, the agency will formulate a budgetary and programmatic request to send to the White House for the 2017 budget. That budget is subject to approval by Congress. Should the telescope be funded, the contractors for WFIRST-AFTA will be selected roughly four years before launch. Hertz said the cost of WFIRST-AFTA is not yet known, although he said it would be a large mission. He added that NASA wants to be sure of budgetary numbers before releasing figures; while he didn’t mention it, the space agency has come under fire for cost overruns on Hubble and the James Webb Space Telescope, among other programs. “We don’t want to be surprised, and we don’t want to underestimate that cost and give people a false impression,” Hertz said. The NRO’s telescopes were originally intended for a multi-billion-dollar program called Future Imagery Architecture, but the program was cancelled in 2005 following delays and budget overruns. The telescopes are in storage in a contractor’s facility, where they will remain until NASA decides what to do with them. David Spergel, who is co-chair for WFIRST-AFTA’s science-definition team, told Space.com that the 2012 announcement that NASA had been given the telescopes came as a surprise. To scientists’ delight, the 8-foot-wide (2.4 meters) telescopes are even better than the 5.2-foot (1.6 m) instrument called for by WFIRST’s initial designs. “With a more powerful telescope, you do more science,” Spergel said. The mission would also search for exoplanets, among other goals. The science-definition team is now mulling whether it’s better to place the telescope relatively close to Earth, to a spot from which it could send data home quickly, or farther away, so that Earth would not block the instrument’s view. WFIRST-AFTA would either be placed in geosynchronous orbit a few thousand miles from Earth, or at a stable gravitational point called Earth-sun L2, which is about 930,000 miles (1.5 million km) from the planet.